I hope this settles once and for all the discussions we have here - always someone throws the "in the USA there are no CAPS!"... Well, gigaom post "Want to know if you ISP is capping your data?" is a good start. AT&T basic DSL is capped at 150GB, and Uverse at 250GB. Comcast cap is 300GB but this is being reevaluated. There are some higher caps sure, but there are also some lower caps. And when they make a price/cap distinction between 1.5 Mbps services and faster - yes 1.5Mbps. Remember in New Zealand we don't hear much any more about speed distinctions. Its almost like NZ was a testing zone for caps. I always had a feeling this was on the horizon for the USA. It would be nice if NZ ISP's took a page out of their books, and made "small" caps 150GB. But yeah, its not so bad here after all. It was. Caps were first introduced in New Zealand (citation needed). Congratulations on a wonderfully misleading post. Of the fifteen ISPs in the chart, seven have no data cap at all. Of the remaining eight, three have no consequences for overage. They simply call you and ask if you'd like to move up a plan. Compare that with NZ when even a few MB over results in being slowed to 64 Kbit/s in most cases (lol, 1.5 Mbit/s is slow? Tell that to some rural DSL subscribers). The remaining few ISPs contain mixed reports of enforcement. I personally know several people using Comcast and shifting more than a terabyte of data on average with zero repercussions or contact from Comcast (not on business plans either). I have read of the same being true for AT&T, SuddenLink, Cox, and Charter depending on your location. From that list there are two ISPs who I cannot comment on their enforcement of data limitations. From a list of fifteen. I think the problem is grossly overstated. 1080p: Of the fifteen ISPs in the chart, seven have no data cap at all. The biggest ones have it. 1080p: Of the remaining eight, three have no consequences for overage. They simply call you and ask if you'd like to move up a plan. I would say this is a consequence for overage then. 1080p: Compare that with NZ when even a few MB over results in being slowed to 64 Kbit/s in most cases (lol, 1.5 Mbit/s is slow? Tell that to some rural DSL subscribers). Data cap plans that move you to slower speeds are really a dying species in New Zealand. In Nz, recent stats Nz survey showed about 10% of nzers are on unlimited plans if memory serves. I don't think the op was misleading. It's not claiming that all ISPs have caps in the states. It's only meant to show that the people who claims 'bb is all unlimited in the USA' are simply wrong. Much of the US seems to have stagnated with regards to internet connectivity. In cases like this they're going backwards by introducing caps in the name of inflated profits. I guess this is what happens when money = speech. So yeah, residential 'net access in the US hasn't gotten any better and isn't "zomg awesomesauce". For that, look at some 1st world asian countries or europe. My flatmate is in the US atm and he was surprised how crap the various connections he was using were compared to our VDSL2. Lorenceo: Much of the US seems to have stagnated with regards to internet connectivity. In cases like this they're going backwards by introducing caps in the name of inflated profits. People think the US is the home of high speed flat rate dirt cheap internet. It isn't. It was amazing to hear first hand at a VoIP conference last month the issues running VoIP in the US. It's not uncommon to find a residential grade connection so poor that it's unusable for VoIP or has traffic management or poor peering which results in issues. The uptake of SIP trunking in the US is very low and people are having to rely on E1's and POTS lines for voice still. Want a business grade DSL offering with 416kbps up and down? That'll set you back somewhere in the vicinity of US$100 per month plus a POTS line. Caps in the US aren't new though - soft caps on many of the large providers have been in place for ~3 years. Prices for average Russian internet connection. Just inet - 3/3 Mbps symmetric connection (no fast night) = Price: 490 RUB == $18 NZD Per month. 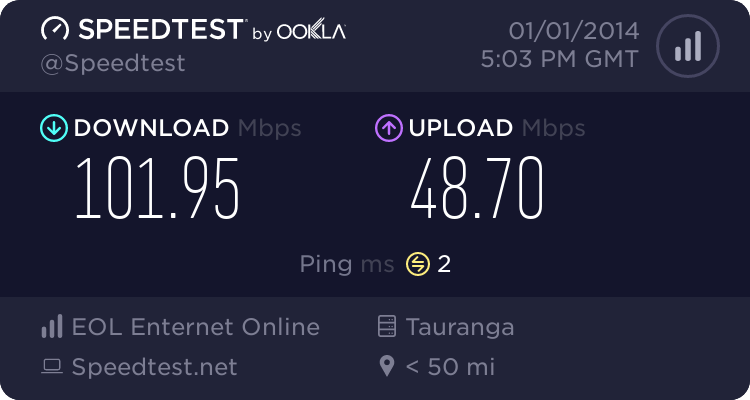 Chicago - 10/10 Mbps symmetric connection (Fast hight speed: 40/40) = Price: 690 RUB == $25 NZD Per month. Moscow - 20/20 Mbps symmetric connection (Fast hight speed: 80/80) = Price: 890 RUB == $32 NZD Per month. Dubai - 30/30 Mbps symmetric connection (Fast hight speed: 100/100) = Price: 1090 RUB == $40 NZD Per month. * Fast night option cost 2$NZD per Month. * Static IP for this plan cost $2 Per month, for moscow and dubai static IP is free option. > Free internal network services on 100/1000 Mbps unlimited connection. p2p sharing, IPTV upt to 130 channels , internal resources created by ISP users, internal "piratbay", on-line radio, game portal and etc. * Voip service available but nobody use it. Internet in Russia now becomes all uncapped, and people like it. The US broadband data cap issue relates to lack of choice due to absence of competition in the market - as mentioned above there is only a single "high-speed" provider for a given area. NZ wholesale model has its flaws as well, here we lack the choice of cheap sub-$50 "low-speed" broadband options, the government seems to think everyone wants fibre and wants to pay upwards of $75 per month for it (and as we have seen with Telecom and Vodafone the actual price is even higher than that). Kirdog: Prices for average Russian internet connection. That is not average. Most of Russia does not have access to those sorts of a speeds. That's it! I am moving to Russia next week to get cheaper and fast internet! If course there is no even 75% coverage, country is too big to cover everything. But main difference in (ISP providing) between NZ and Russia, we don't have monopoly and restrictions, for example if you don't have anything at your premises (phone line or optic connection and etc.) You can buy optic cable and run it to the closest ISP exchange/cabinet, after this you need to meet with technician and he will connect you, and after this you go to the the office and sign contract and etc. Cable is your responsibility and you pay only for connection and actual usage plan (and here you can chose unlimited or limited cap). I think it's great how you compare a large city with a far higher population in Russia and use that as a basis to call out NZ. When the NZ vs Russian population density is actually somewhat similar to each other and there are large areas of both countries that are sparsely populated. I also find it interesting you can get your own fibre and dig up the street and lay your own fibre to the cabinet/exchange. That must make for a complete nightmare when it comes to ensuring standards and proper installs. But then again if you own it... it's your problem. plambrechtsen: But then again if you own it... it's your problem.